Today I added some Curly W – as in willow – (salix matsudana ‘Tortuosa’ to be exact) to my collection of ‘green goods’ growing at my house. I happened to be passing by a favorite local florist and saw some earthy-colored twisted shapes with some gnarl in their attitude. One memory flash later, I remembered Curly W! It is a specimen I have wanted to grow in a container since my garden days in Portland, OR. However, each spring I always seem to forget about it being way too distracted to look for something as basic as a willow when visiting nurseries. Other times, when I have remembered its wonderful varied uses (floral arrangements, containers, nice shade tree given some age) I tell myself I don’t need to buy it at the nursery and will find some by the side of the road where I can take a cutting or possibly in someone’s yard and will ask for a cutting. Non of these scenarios have materialized and eight years later I still do not have a pot of Curly W.
Today, I ended the nonsense and purchased a few beautiful stems from the florist. 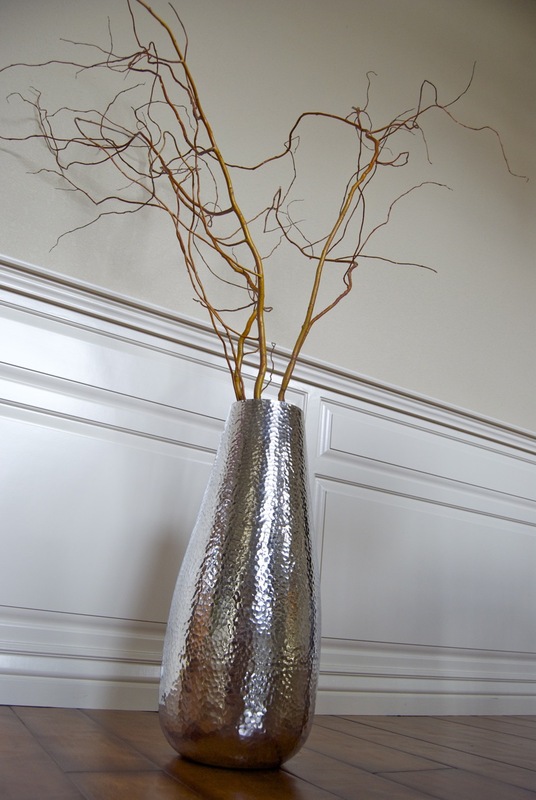 I’m using Curly W right away as an indoor flower arrangement. 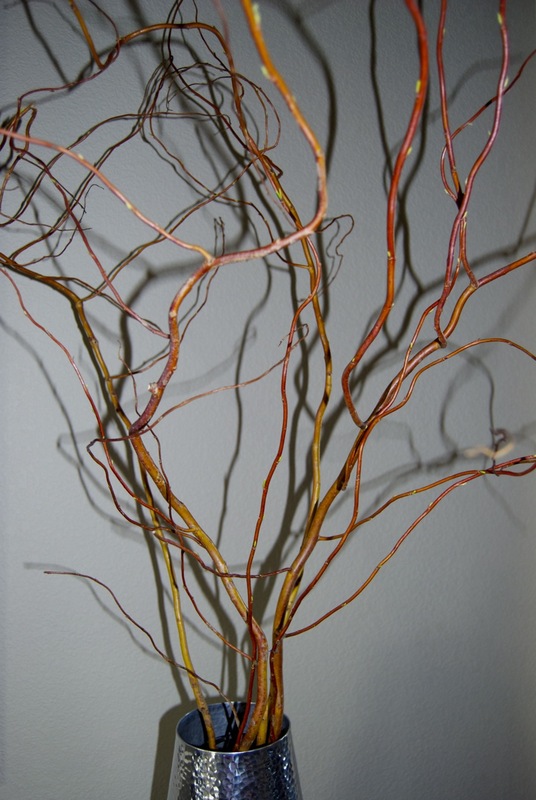 The branches are large, beautifully colored and interesting so they add a presence to any room. 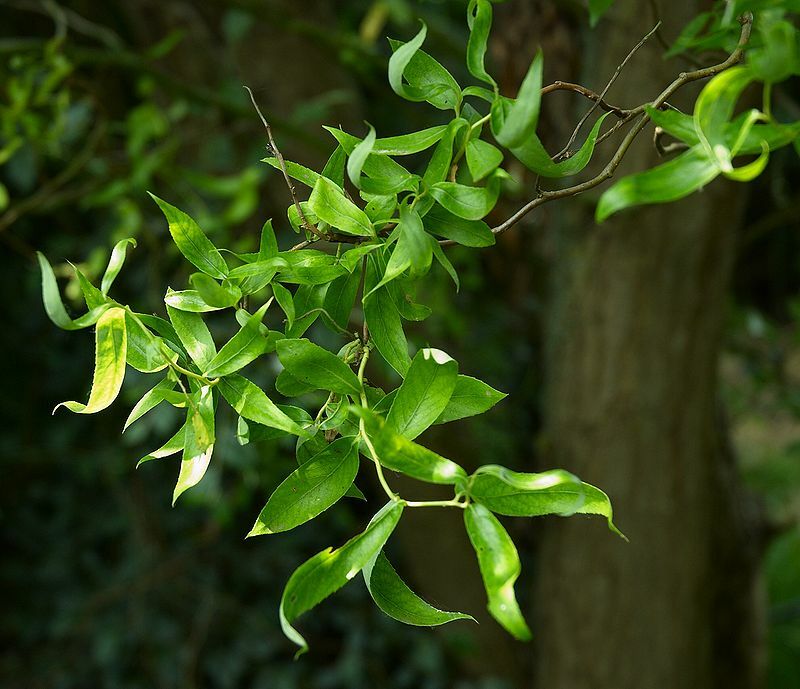 They are in a vase and the branches will soon begin to ‘root out’ – meaning new little white roots will grow from the bottom of the branches where they are submerged in water. These rest of the stems will develop beautiful small green leaves that will continue to get bigger. Curly W really does perform as a living floral arrangement, continuing to grow and leaf out, setting the scene of Spring inside the house. After a month or so I am going to plant the branches in one of my large outdoor pots and use Curly W as a backdrop and texture for a summer pot. When Winter comes, Curly W will stay in the pot (needing a little winter mulch and a wind protected site) and become an interesting framework once again. I might even put some Holiday lights on Curly W having it become a bright spot on my front porch or patio in the winter garden. If you’ve been meaning to add a classic specimen (maybe even Curly W) to your gardenscape but haven’t, maybe this will be your call to action too! I’ve got some! Given to me 5 years ago by a friend…started in doors and now taller that the house. Hi Jenny! I just make sure the bottom 6-7 inches is submerged in water the entire time they are inside to allow the new roots to grow. You can change the water as it starts to get murky. I have always had them near a window so I would say medium to high light. Good luck! A must have for the Ikebana enthusiast! Didn’t you tell me you can root this? Yes, I mention it in the post too. I checked mine today and it already has some great roots! I have been a fan of curly willow the last five years. We have six in our yard. They are hardy and fast growing. My favorite tree sprouted on its own by our garage. Must have been nature’s little gardener the squirrel. It is my favorite cutting tree. I use the branches all year. I even sprayed some black for Halloween. You will have to come and take a peek (and some cuttings). Love your website crazy gardener girl. Make sure to blog about all your gardening info from Edwards!